In 2015, it is hard to imagine a scuba diving trip that would not include at least 400 selfies. 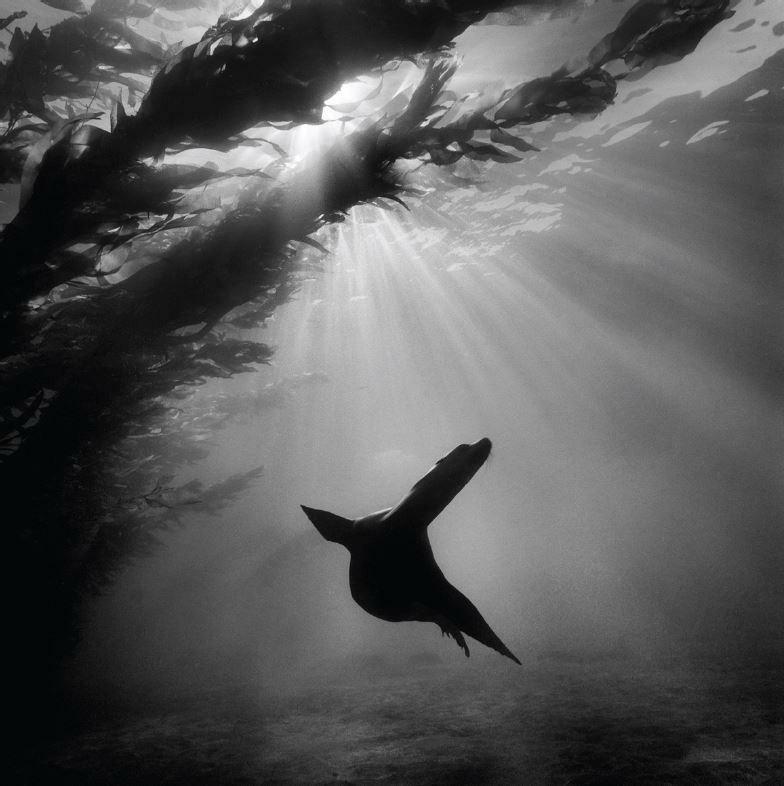 Not the case for world-renowned ocean photographer Ernest Brooks, whose exhibition "Silver Seas: An Odyssey" is now on display at the International Photography Hall of Fame. 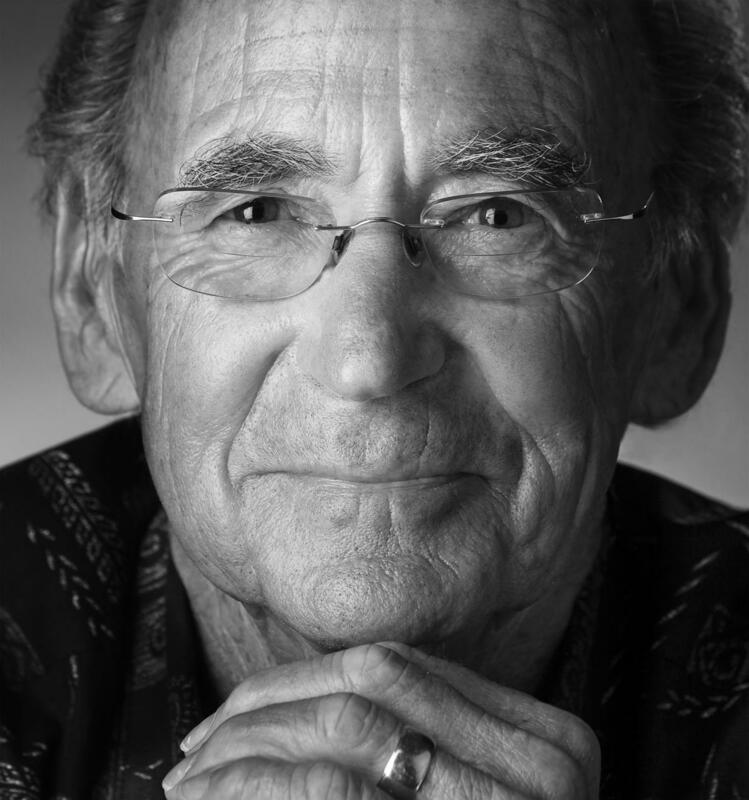 Listen: Ernest Brooks chats with Cityscape host Steve Potter about his photography, the environment, and working with Ansel Adams. This old-school photography technique of calculated observation is indicative of Brooks’ storied photographic past. He comes from a family of Californian photographers. In addition to the photography of his grandmother and uncle, his father, Ernest Brooks, Sr., started the acclaimed Brooks Institute of Photography in Santa Barbara, California, in 1945. It was there that Ernest Brooks Jr. came under the mentorship of another famous landscape photographer—Ansel Adams. In addition to shooting solely in black and white, an attribute nicely featured in the IPHOF’s exhibit of Brooks’ pre-2000 work, another aspect of Brooks’ work links him to Adams: his environmentalism. 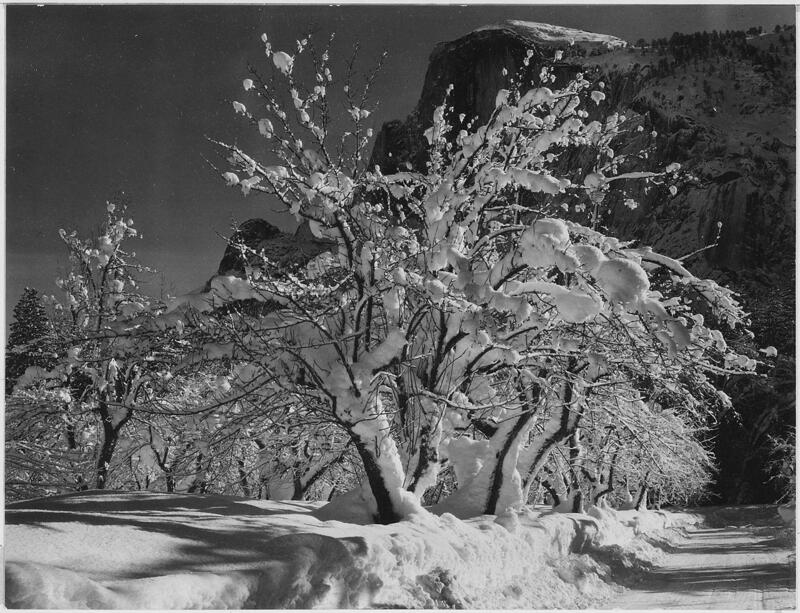 Ansel Adams' Trees with snow on branches, "Half Dome, Apple Orchard, Yosemite," California. April 1933. Brooks, 80, just returned from a trip to the Arctic, where he joined 60 people, including scientists and artists, on a boat trip sponsored by “Ocean Geographic” to observe the impact of climate change there. In 2010, he traveled with a similar group to photograph Antarctica. “You see this yellow haze layer, coming from China, staying over the North Pole area,” Brooks said of the recent expedition. Brooks does this through his photography and also through sitting on several commissions to end plastic bag use, which he said is clogging up our oceans and hurting all ocean life down to a microscopic layer. Brooks uses a large format camera and solely natural light for his photographs, which he believes emphasizes their crispness and simplicity and translates a message of the importance of oceans across the world. Ernest Brooks diving with his camera. 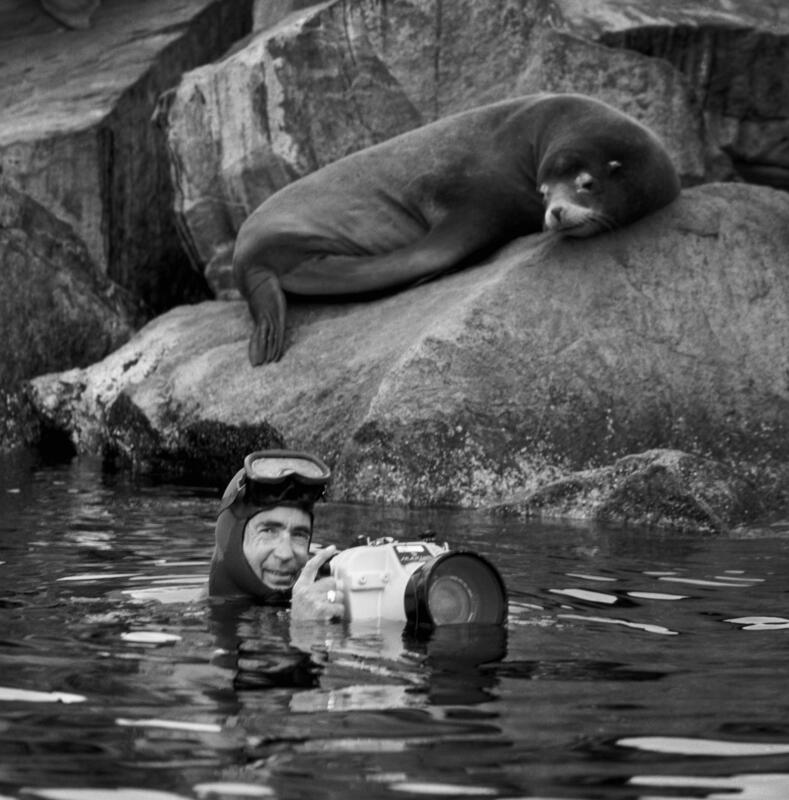 Brooks’ legacy is also reflected in the photography of other ocean photographers, such as National Geographic’s David Doubilet, who was Brooks’ student. A group of nearly 40 of Brooks’ photographs, ranging from images of sea lions to sharks to sea-plants and people, is on display now through Dec. 30 at the IPHOF, located at 3415 Olive, from Wednesday through Saturday from 11 a.m. to 5 p.m.
“Cityscape” is produced by Mary Edwards, Alex Heuer, and Kelly Moffitt. 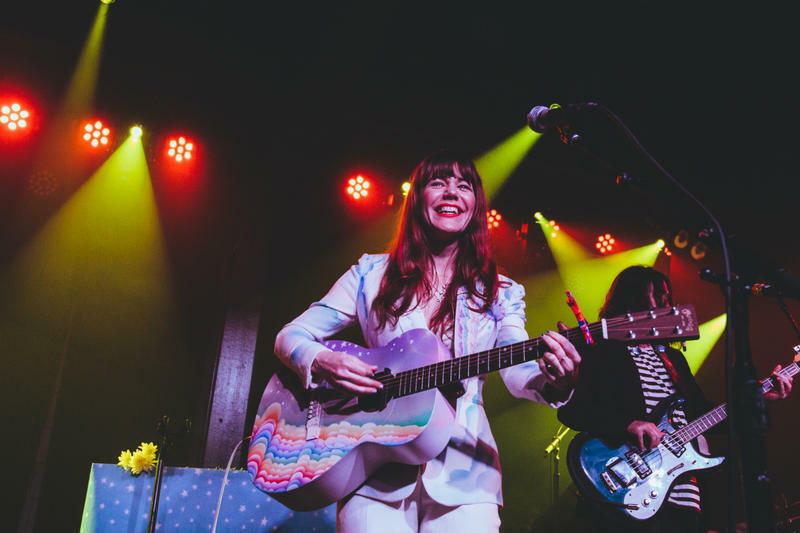 The show is sponsored in part by the Missouri Arts Council, the Regional Arts Commission, and the Arts and Education Council of Greater St. Louis. 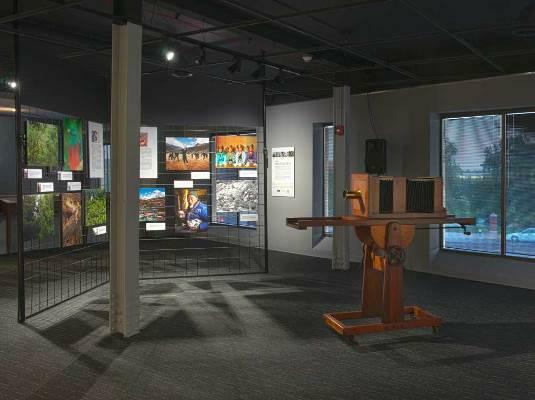 The International Photography Hall of Fame and Museum has a new home in St. Louis. This Friday it will celebrate its grand opening in Grand Center at 3415 Olive Street. This weekend a new art show held in tribute to St. Louis and rock and roll opens in multiple Grand Center venues. Although the show is held in fine art spaces, organizer Jason Gray hopes it will attract music fans as well. The International Photography Hall of Fame is moving to St. Louis. The organization will bring with it thousands of historical cameras and images. 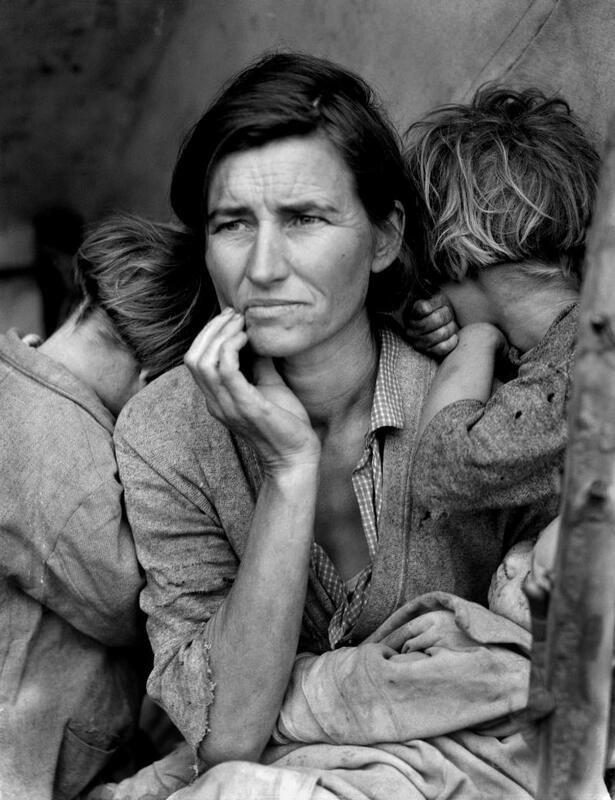 Those include iconic photographs like Alfred Eisenstaedt’s “V-J Day in Times Square," Ansel Adams’ “Moonrise, Hernandez, New Mexico,” and Dorothea Lange's "Migrant Mother" - all of which you can see above. John Nagel is the board president of the International Photography Hall of Fame and a photographic artist who lives in Hermann, Mo. St. Louis Public Radio’s Maria Altman spoke with Nagel about the Hall of Fame’s history and the move.